Back in April, Greg & Erik teamed up to cover our friends’ Sean & Brittany’s wedding at the Historic Baldwin Hall. It was beautiful. For a little backstory, shortly after Sean and Brittany fell in love several years ago, Brittany moved across the country in pursuit of her studies. Dismayed, Sean uprooted his life to follow her out there, where they grew together and got closer and closer, until he eventually popped the question. 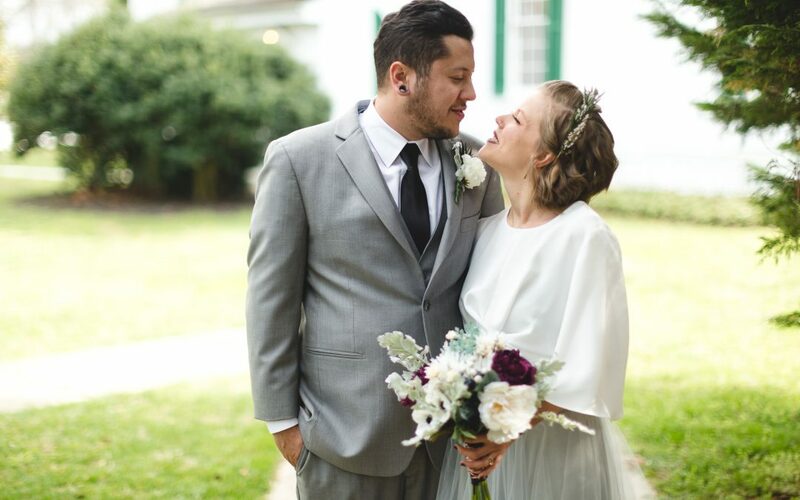 When she finished school, the pair returned back to the Maryland area where they started planning a beautiful and personal wedding full of friends, family and loved ones. Not ones for the ‘pomp’ of modern weddings, these two hired their most important wedding vendors from among their friends and family, and they celebrated a ceremony and reception all in one modest and beautiful location, Baldwin Hall in Gambrills Maryland. They wanted a fluid reception, so the group started out with a first look, and saved some quick family portraits for right after the ceremony. The reception was a blast, with so much laughter and dancing, it was an extremely memorable night for everyone. Historic Baldwin Hall is an excellent wedding venue for couples on a budget, and it’s kind of a DIY dream venue. You won’t find advertisements for other happenings anywhere, and you also won’t find too much ornamentation. It’s a historic hall that is well maintained inside and out, and that’s it. You can make it into just about anything you want. Your imagination is the limit. Check out a selection of some of our favorite photos from Sean & Brittany’s wedding day. And, if you’re still looking for a wedding photographer and are interested in learning more about Greg & Erik, or our other members, visit the Wedding Photography page here on our website, or just shoot us an email. We’d love to start a conversation with you!